In case you missed it, you can submit to the FOSDEM Community DevRoom Call for Papers until 27 November. Laura Czajkowski and I are thrilled to be co-organizing the Community DevRoom at FOSDEM once again. If you’ve never put on an event with talks, one of the most valuable tips I can give you is to select your Program Committee members well. You need to make sure that each member will have the time to review the talk submissions, and you need to make sure you have enough members to share the load if you are happily overwhelmed with submissions. You also need to make sure that the committee as a whole has the right skill set to review your incoming submissions. We’re honored to welcome some folks back to the Community DevRoom Program Committee, plus several new faces this year. Tamara Atanasoska is a software engineer at Ableton, where she programs for their popular Push music creation device. A lover of all things Python, technology for social good, and FOSS, she has a long career in developer relations work and community political organizing . Amongst her many accomplishments, Tamara is a Google Summer of Code program alumna and a mentor for organizations and events that support underrepresented groups in tech. Dajana Günther is the conference and community manager for GOTO Berlin. She organizes international conferences and events on a daily basis. Dajana is a trained IT Systems Engineer, Mediator, has a master’s degree in Adult Education and studied educational science and psychology. In her free time, she is part of the non-profit association Ruby Berlin e.V., and mentors new community conference organizers. Dajana strongly believes in equity, sharing knowledge and supporting people. 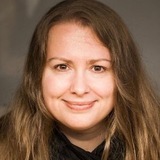 Lydia Pintscher is a past organizer of the FOSDEM Community DevRoom and joins the Program Committee this year. 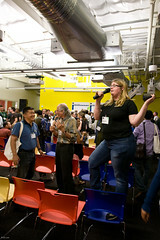 She’s a product manager at Wikimedia, where she is responsible for the Wikidata project. She is the president of the KDE Community and has served on the Board of Directors since 2011. She is also the editor of Open Advice, a guide to getting started in FOSS projects. Brian Proffitt is currently Principal Community Analyst for Red Hat’s Open Source and Standards team. He is the curator of Red Hat’s now + Next site, the voice of the company’s Office of the CTO, and their Open Source Community blog. A long-time member of the FOSS community, Brian is the author of several books on Linux, as well as former technology journalist from ReadWrite, ITworld, LinuxPlanet, and Linux Today. Matthew Revell returns to the program committee this year. He’s the Founder of DevRelCon events series and the curator of the popular DevRel community site. When not helping to educate his fellow developer relations professionals, he runs Hoopy, a boutique consultancy educating companies on how to grow developer relations programs that scale out and respect the principles of FOSS communities. Amita Sharma returns to the program committee this year. 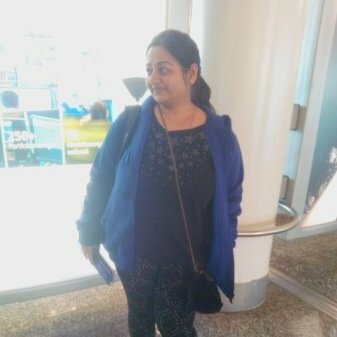 She is a Software QA tester at Red Hat working on their Identity Management team and also contributes to the Fedora QA Team. She is involved with the Fedora Diversity Project and is a passionate advocate for helping women get involved with Fedora, particularly non-code contributors. We’re thrilled to have each and every member of the committee with us, and we’re proud that we have a diverse set of background and skills represented amongst our review team. Remember, you can submit your proposal until 27 November. You can find full details, including suggested topics to inspire and how to reach the program committee, on Laura’s blog. This entry was posted in conferences, open source and tagged Community, DevRoom, FOSDEM. Bookmark the permalink.